Canadian employment law is vast and overwhelming to the untrained eye. Discover the most important things about Canadian labour laws that you need to know. Canadian employment law is complicated and difficult to understand. It's important to know what the laws are and what rights you have. 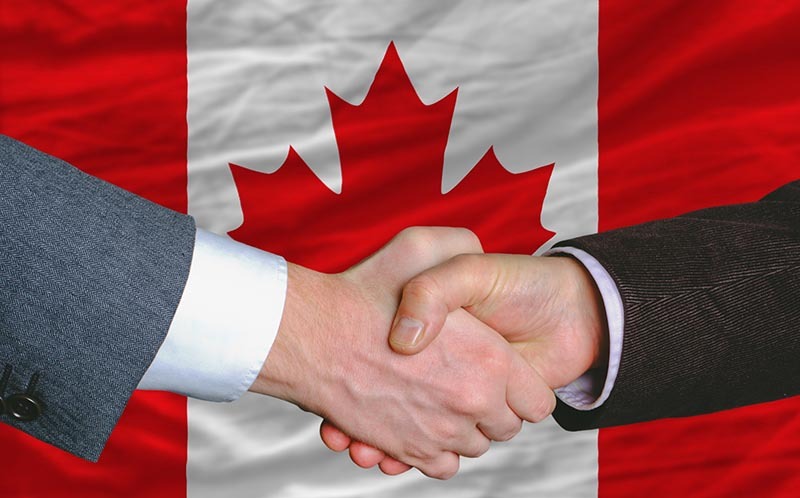 Canadian employment laws are established to protect both the employee and the employer from any misunderstandings or from being taken advantage of. It's vital that you know what rights you have under the Canadian labour laws. There have been some recent changes that you should be aware of. Keep reading to find out what you need to know and how the changes affect you. 1. Are You Covered Under Federal Canadian Labour Laws or Provincial? Not all employment law in Canada is equal. While about 90% of Canadians are covered by provincial labour laws, there are some industries that are under the scope and jurisdiction of the federal government. Parliament has legislative authority over several industries where business and operations are not limited to just one province. The federal government labour laws also cover any employment, work, business dealing or undertaking that is not covered by the exclusive legislative authority of provincial employment laws. According to federal labour law, each employee is entitled to certain general holidays and are protected by the law against overwork, being taken advantage of by an employer or unfair working conditions. Healthcare, law enforcement, first responders and other essential services obviously can't shut down for the day just because it's Christmas. Any employee required to work on a general holiday will be compensated in time banked and/or holiday pay. The exact amount of compensation may be determined by collective agreement or employment contract as long as it meets employment law minimum standards. There are standards in place under the federal labour code that protects workers from having to work excessive and possibly dangerous amounts of hours without protection and proper compensation. The employment law in Canada sets the standard number of work hours per day as 8 hours unless otherwise outlined in the terms of employment. In many industries, working a 12-hour shift is a standard practice. Any hours worked above and beyond the determined standard employment hours per shift shall be deemed overtime and the employee shall be compensated accordingly. The standard workweek shall not exceed 48 hours per week without proper compensation. There is an exception when averaging the hours from each pay period. Proper compensation no lower than time and a half must be given for hours worked above and beyond the hours of work standard set out by Canada employment law. These standards may be adjusted as long as the employer and union (or 70% of employees for non-union) have agreed in writing to implementing such changes. Any agreement between employer and employees must at least meet the minimum standards as set out in the labour code. They may also be adjusted by a federal ministerial permit if all their criteria for such a permit are met. Canadian employment law protects employees through the Canada Labour Code from being laid off or dismissed without proper notice or compensation. In most cases, an employer must provide an employee, who has worked at least three months consecutively, with at least two weeks written notice of the intention to terminate employment. If an employer has just cause to end such employment due to actions of the employee. If proper monetary compensation of two weeks wages is given in place of two weeks notice (minimum). An employee is not required under federal law to provide two weeks notice of their desire to terminate their employment unless otherwise outlined in a collective agreement or contract. These standards protect employees from immediate dismissal without cause and give them legal recourse in cases of wrongful dismissal. The federal government has also set standards to keep you safe on the job. The Occupational Health and Safety standards set out in the Canada labour code are there to ensure every employer meets minimum standards to keep each employee safe while performing their duties. Every employee has the right to be informed of dangerous or hazardous materials they will come in contact with while performing their duties. They must receive W.H.M.I.S training to identify and handle such hazards. Each employer must provide written details on each and every hazardous material present in the workplace or any place where their employment duties are performed. There must be a Health and Safety Committee for employers with more than 20 employees and all minutes of meetings, inspections, etc. must be posted for all employees to see. This ensures a proactively safe workplace. Employees are entitled to assistive devices and adjustments to allow them to perform their job responsibilities to the best of their ability when they provide their employer with a written outline of their needs. No employee is to be discriminated against due to physical or mental disability. They also cannot be discriminated against because of race, religion, sexual orientation, age or gender. Any employee is pregnant, nursing or has a medical certificate outlining a need for modified duties can request them from their employer for up to 24 weeks after the birth of their child or until medical clearance is given may be reassigned to a position that meets their needs. Where it is necessary to review the employee request for modified duties an employer must provide in writing an answer detailing the modifications being made or the reasons why modified duties are not possible for safety reasons. Where it's impossible to meet the employee's needs by offering modified duties the employer must provide monetary compensation in relation to the regular work schedule of the employee or allow the employee a leave of absence. Parental leave is to be given to any parent or guardian who is welcoming a new child into their home. These standards have been changed to allow either parent of a new baby or newly adopted child to spend up to 63 weeks at home with their new addition. There are also provisions to allow the parents or legal guardians of a sick child to take a leave of up to 17 weeks to care for their ill little one. For all the laws, standards and provisions of employment leaves under the federal labour law, you can refer to the Canada labour code or consult an employment attorney if there is a concern you're not being treated fairly. Provincial employment laws cover about 85% of employees within Alberta. Most of the standards outlined in the Provincial labour law are very close or the same as federal employment laws. The province of Alberta labour law had some changes made at the beginning of the year. Maternity leave may be taken up to 13 weeks before the birth or the child. The provincial labour laws include provisions for any parent to receive 62 weeks of parental leave for a newborn or newly adopted child. This time can be taken by one parent or divided between the two. This is extended from the previous laws and may be enjoyed by anyone who started their leave benefits after December 3, 2017. All employees are entitled to one and a half times their pay rate or receive one and a half times the hours worked as paid time off. There are some exceptions or differing standards for certain occupations that are exempt from overtime pay. Employers are responsible for keeping track and providing an accurate record of overtime hours worked. They are responsible for ensuring all employees are paid for the hours worked either in pay or paid time off. As of January 2018, the average daily wage for general holidays will be decided by calculating the total of 5% of the employee's total wages, general holiday pay and vacation pay for the four weeks prior to the general holiday. Employees who earn a salary rather than hourly pay may choose to receive their salary rather than the 5% if it falls on a regular workday. As of January 1, 2018, there are nine general holidays under Alberta provincial labour laws. Boxing Day is not a general holiday under Alberta provincial employment law. It's an optional holiday. As is Easter Monday and Heritage Day (the first Monday in August). An employee is entitled to at least two weeks of pay after each of the first four years of employment. Once an employee has worked there for five-year consecutive years they are entitled to three weeks of vacation per year. This is true for each year after that. Critical Illness leave has been developed to allow employees to offer care and support to a critically ill family member. An employee is eligible to request critical leave after 90 days employment with the same employer provided they have a medical certificate signed by a nurse practitioner or physician expressing that they have a critically ill family member and what amount of time is required to support and care for them. It is possible to get up to four months (16 weeks) for a family member that's an adult. When the ill loved one is a child the employee is eligible for up to 36 weeks. The employee must be returned to the same pay wages and benefits as before they left for their leave. Critical illness leave differs from Compassionate leave because the family member does not need to be near death for critical illness leave to apply. If a family member of any age has a serious medical illness or condition that will most likely lead to death within the next 26 weeks. These leaves are applicable to all employees who've worked more than 90 days with the company. No signed contract or union collective agreement can void this provincial employment law. It's critical for employers and employees to know their rights under Canadian employment law. And to be up to date with the recent changes to the provincial employment law and the federal labour laws. This entry was posted in canadian employment law by verhaeghelaw. Bookmark the permalink.